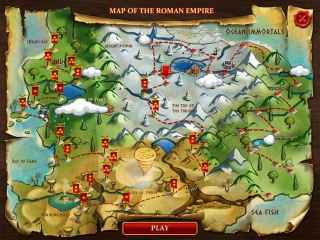 Free Download When In Rome Game or Get Full Unlimited Game Version! Help Flavius expand the Roman Empire! 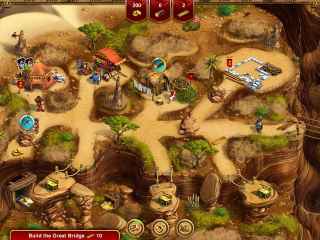 Haggle with shopkeepers, collect supplies, build bridges and more in this exciting time- and resource-management adventure! In order to get advantaged of playing When In Rome full unlimiteg game version you must register the game. Step into Ancient Rome and follow the story of Flavius, a brave and celebrated warrior who has fought myriad ruthless battles and has lived to tell the tale. After being injured badly by an enemy’s spear, Flavius is forced to retire his armor and serve his empire not with brawn, but with tenacity and intellect. Help Flavius follow the Emperor’s orders to develop his territory, settle the land, build up trades and expand Rome into a flourishing, prosperous empire! Haggle with shopkeepers, collect supplies, clear road obstructions, construct bridges and more in this fantastic time- and resource-management game!